Ants are among the most invasive species on the planet. They now exist on every continent except Antarctica. An impressive 241 species have been recorded as being transported by humans to new geographic locations, and 19 of those are considered invasive. But not all invasions occur as the result of direct transport. Some species have managed to invade one place, survive, and then migrate to another—a process known as the bridgehead effect. These secondary invasions, the team reports, appear to be a major driver for new infestations. To learn more about invasive species, the researchers focused only on ants. They looked at data from two major sources—both using border inspection data. One dataset came from 4,533 border interceptions in the US covering the years 1914 to 1984. The second from New Zealand covering the years 1955 to 2013. The U.S. data revealed that 51 distinct ant species were observed while the New Zealand dataset recorded 45 alien species. But what was surprising, the team noted, was that most of the alien species did not arrive from the species origin point, but from a secondary location. 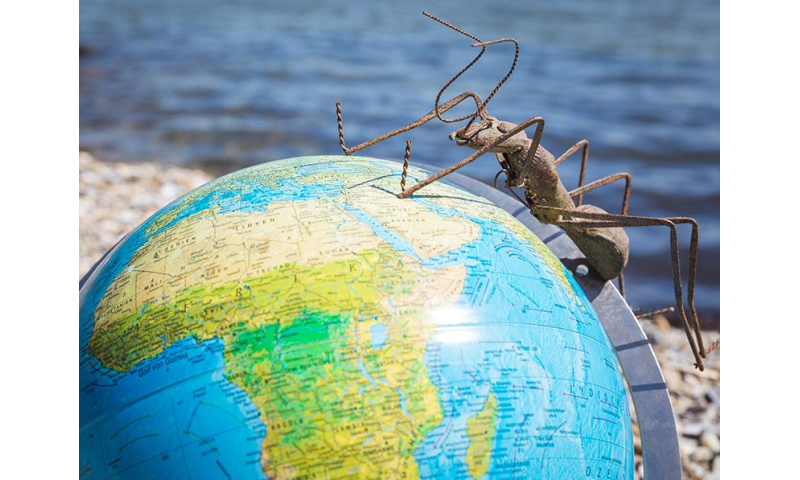 More specifically, they found that 75.7 percent of the ant interceptions in the U.S. came from secondary locations—the number was even higher for New Zealand at 87.8 percent. They also noticed that the interceptions increased when they came from countries that were physically closer. And they further noted that in some instances, ants that traveled the most tended to be more successful in invading a secondary location. And the more they settled elsewhere, they more they moved to other places—setting up a snowball scenario. The findings show that it is not enough simply to account for the original location of an invasive species. To better understand how plants and animals make their way across geographic spans, researchers need to follow the hops they make as well. Biological invasions are a major threat to biological diversity, agriculture, and human health. To predict and prevent new invasions, it is crucial to develop a better understanding of the drivers of the invasion process. The analysis of 4,533 border interception events revealed that at least 51 different alien ant species were intercepted at US ports over a period of 70 years (1914–1984), and 45 alien species were intercepted entering New Zealand over a period of 68 years (1955–2013). Most of the interceptions did not originate from species' native ranges but instead came from invaded areas. In the United States, 75.7% of the interceptions came from a country where the intercepted ant species had been previously introduced. In New Zealand, this value was even higher, at 87.8%. There was an overrepresentation of interceptions from nearby locations (Latin America for species intercepted in the United States and Oceania for species intercepted in New Zealand). The probability of a species' successful establishment in both the United States and New Zealand was positively related to the number of interceptions of the species in these countries. Moreover, species that have spread to more continents are also more likely to be intercepted and to make secondary introductions. This creates a positive feedback loop between the introduction and establishment stages of the invasion process, in which initial establishments promote secondary introductions. Overall, these results reveal that secondary introductions act as a critical driver of increasing global rates of invasions. There is no way to prevent migration on this planet which is why it is doomed to ecological collapse. The only way to continue the species is to establish totally independent and isolated colonies on mars and elsewhere in the system. Degrees of isolation mean that contamination and contagions can be limited, confined, and eradicated. Isolation is the key to the future of humanity.